Hello again! As you may have seen from my social media or in my blogs about Chicago and Michigan, I’m in the States for multiple reasons, one of which is a Midwest book tour. However, in the middle of the book tour, personal reasons led me to Pennsylvania to visit family. 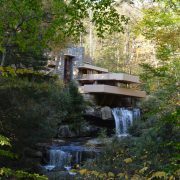 On the way back from visiting my aunt and uncle, we stopped to see Fallingwater in southwest Pennsylvania. This piece of property – the house included – was love at first sight. Read on to learn about the history of this masterpiece. Hello again, and greetings from the great state of Michigan! As you may have seen from my social media or in my blogs about Chicago, West Michigan, East Lansing, and Ann Arbor, I’m in the States for multiple reasons, one of which is a Midwest book tour. I’m incredibly honored to share the inspirational stories from my book, Flavors of Life. I’m from the Metro Detroit area originally, so that served as my home base while on my Midwest book tour. 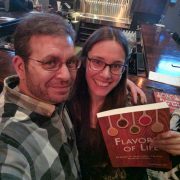 Naturally, I lined up events in the area, as well, including a book club guest appearance, book party and charity event, as well as mini-celebration for Flavors of Life at ROAK Brewing Co. in Royal Oak. Read on to hear more about the events! Hello again, and greetings from the great state of Michigan! As you may have seen from my social media or in my blogs about Chicago and West Michigan, I’m in the States for multiple reasons, one of which is a Midwest book tour. I’m incredibly honored to share the inspirational stories from my book, Flavors of Life. I was invited to speak at Michigan State University (MSU), and boy, was it great to be back! I led a discussion at a student luncheon and gave a lecture to a group of Journalism history students. In Ann Arbor, Michigan, home to University of Michigan (U of M), I held a discussion and signing at Nicola’s Books. Read more about my time in these two beautiful university towns! Greetings from the great state of Michigan! I’m really excited to be back. As you may have seen from my social media, I’m in the States for multiple reasons, one of which is a Midwest book tour. 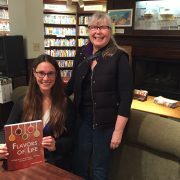 I’m incredibly honored to share the inspirational stories from my book, Flavors of Life. My book tour took me through West Michigan. 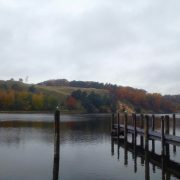 Read all about my time in Grand Rapids, Holland, Zeeland, and Grand Haven – from Art Prize and a guest lecture at Hope College to a book signing at The Bookman in Grand Haven and craft brewery visits! Greetings from the good ole USA! I’m really excited to be back. As you may have seen from my social media, I’m in the States for multiple reasons, one of which is a Midwest book tour. I’m incredibly honored to share the inspirational stories from my book, Flavors of Life. I actually flew into Chicago from Amsterdam, but travelled back to Michigan for a few days to see my immediate family. 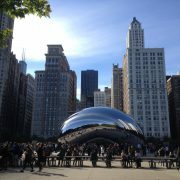 My adventures took me back to Chicago, though. Read all about my time in the Windy City – from a book event to a wedding and time with friends (old and new).